Australia’s ad spending for 2015 is forecast to grow by 1%, up from 2014’s 0.3%, but is still far behind the US (up 4.6%) and UK (up 6.4%), according to Carat’s latest Ad Spend Report. The March report found advertising spending will continue to increase in 2016 by 1.5%, with growth in 2015 and 2016 more optimistic than previously predicted. This is due to strong media bookings in the last four months of 2014 and the increased willingness of consumers to spend with interest rates at an all-time low in Australia. Carat forecast that overall global spending will increase by 4.6% in 2015 or US$23.8 billion in 2015 and 5% in 2016. Ad spending in the US is expected to increase by 4.6% in 2015, producing a similar result to 2014’s 4.5% growth. 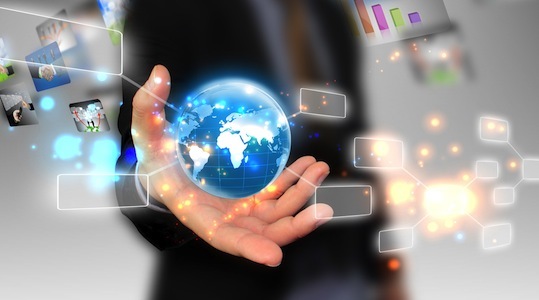 The US is expected to see a 4.6% growth in ad spending in 2016. 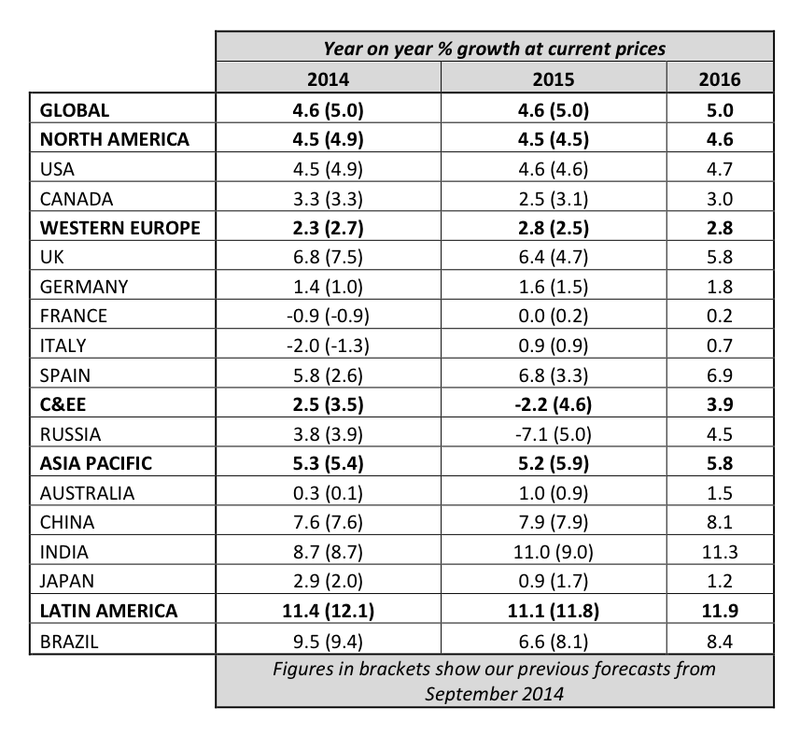 The UK has a revised up 6.4% forecast for 2015, up from the 4.7% growth predicted in September 2014. A healthy advertising market in the UK is driving growth in Western Europe. 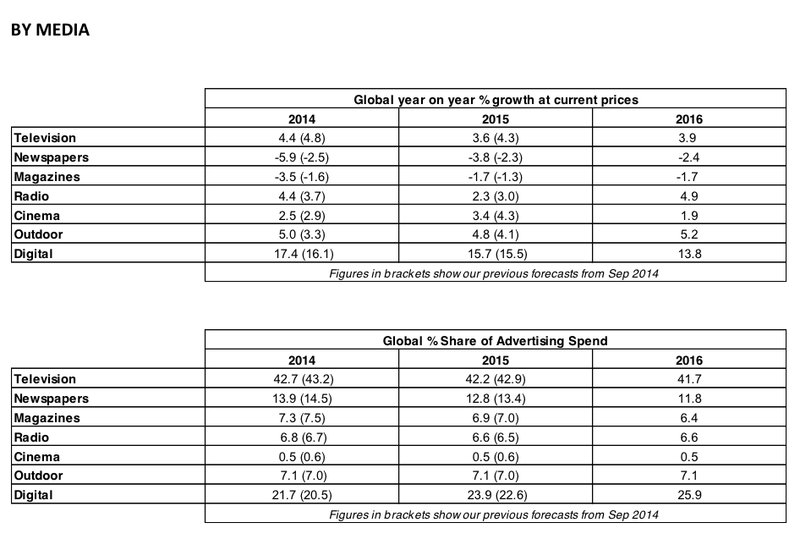 In Asia Pacific, advertising spend is expected to grow by 5.2% in 2015. This was downgraded by Carat’s previous September forecast of up 5.9%, due to changes in other Asian markets, specifically Japan. Japan’s forecast for 2015 is up 0.9%, also downgraded from a previous 1.7% increase predicted in September 2014. China and India are expecting to show the largest increase in ad spending in the Asia Pacific region in 2015, with China forecast to increase by 7.9% and India increasing by 11%. Carat predicts the Asia Pacific region will continue to grow in 2016 by 5.8%. Latin America is forecast as having the highest regional advertising expenditure growth with an expected 11.1% increase in 2015. Italy received a positive growth forecast for the first time in four years, after year-on-year declines in advertising expenditure since 2011. Advertising spend in the Middle East and North Africa is expected to increase by 5.7% this year and 6% in 2016. But the Central and Eastern Europe region is forecast to decline in ad spending by 2.2% for the first time since 2009. The worsening Russian economy and its expected recession are key factors in Russia receiving a 7.1% decline in 2015, down from the previous forecast of 5%. In its report, Carat also released forecasts for various media types as used by consumers. According to Carat, digital media growth far outpaces other media types with a forecast increase of 15.7% in 2015 and 13.8% in 2016. Digital growth is high in all regions, especially in Asia Pacific (up 20.1%), North America (up 16.4%) and Latin America (up 16.2%). Mobile spending is expected to rise 49.7% in 2015 as smartphone ownership rates and data usage also continue to rise. TV continues to dominate in market share and is predicted to grow by 3.6% in 2015. Print media is expected to continue its decline with a 3.8% decline in newspapers and 1% decline in magazines.